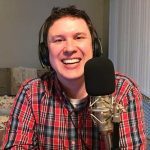 Featuring Matt Anderson and Ben De Bono Sci-Fi News about Mary Poppins, Game of Thrones, Star Wars, Gambit, Doctor Who, and more! Featuring Matt Anderson and Ben De Bono Is “Daredevil” the best thing that has come out of the Marvel Cinematic Universe? Find out our opinions here!